Five percent is the significant threshold. 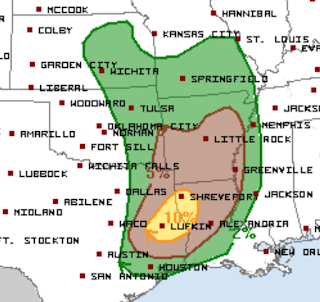 Ten percent, which includes Shreveport and Lufkin, means to really keep an eye out. 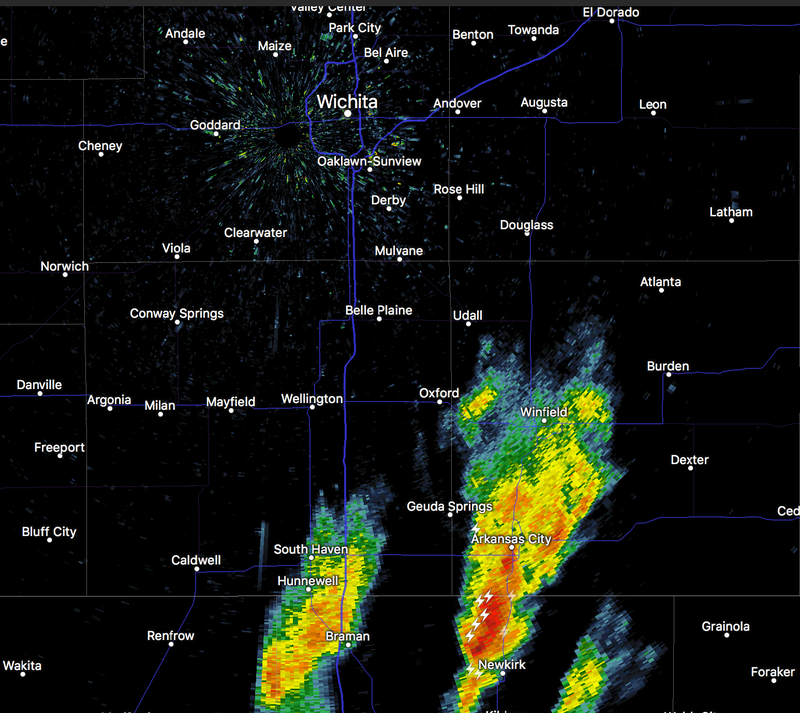 Thunderstorms are also forming (right now along the KS-OK border). 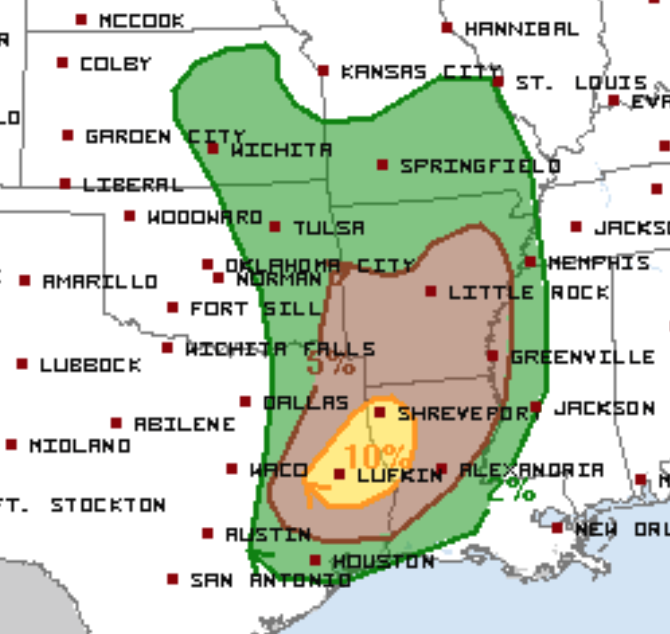 There is a slight chance of a weak tornado or two (a/k/a, "landspouts") if the storms can interact with the upper atmospheric low pressure system. These storms are moving almost straight north.